يشكل Pokolbin Village بموقعه الممتاز في هانتر فالى نقطة انطلاق جيدة لاستكشاف هذه المدينة النابضة بالحياة. يمكن من هنا للضيوف الاستمتاع بسهولة الوصول إلى كل ما تقدمه هذه المدينة النابضة بالحياة. يوفر الفندق بفضل موقعة الجيد وصولاً سهلاً إلى أهم معالم المدينة.
. يعمل Pokolbin Village على ضمان إقامة مريحة لضيوفه من خلال خدماته الممتازة وحسن ضيافته. يمكن لضيوف الفندق الاستمتاع بالميزات التالية على أرض الفندق: واي فاي مجاني في جميع الغرف, خدمة التنظيف يوميًا, مدفأة, متجر هدايا/تذكارات, خدمات بريدية . استمتع بوسائل الراحة الراقية في الغرف أثناء إقامتك هنا. بعض الغرف تتضمن تلفزيون بشاشة مسطحة, اتصال لاسلكي بالإنترنت, اتصال لاسلكي بشبكة الإنترنت (مجاني), غرف لغير المدخنين, مكيف هواء لمساعدتك على استعادة طاقتك بعد يوم طويل. إن حمام سباحة خارجي, ملعب تنس, حديقة هو المكان الأمثل في الفندق للاسترخاء وتفريغ طاقتك بعد نهار طويل. اكتشف مزيجاً ساحراً من الخدمة الاحترافية والخيارات الواسعة من وسائل الراحة والمتعة في Pokolbin Village. يُقدَم العشاء في أيام الجمعة والسبت والأحد فقط. يُقدَم الإفطار من الساعة 08:00 صباحاً. We stayed in the Loft and didn't hear much of the noise from the general store downstairs. The restaurant inside the village was decent and we had breakfast and dinner there sometimes. Location was great as it was close to most of the major wineries. Surrounding were very quite at night. The unit is located above the shoplot, u have the entire unit, very good size and we had all the things and equipment that we need for the entire stays. Maybe couple pair of slippers for bathroom would be good especially winter. first of all, this is the only room of its kind in this accomodation. very unique and room decor is lovely. had almost everything we needed. toilet is abit small though. overall, a very special experience. in the 2 days we spent, there were 2 different receptionists - both of them were superbly friendly and professional. They made me feel like we were the only guests - i will return again simply because of them! Although the accomodation and everything the village had to offer pleasantly met my expectations and i will certainly return, all facilities are pretty standard and I would rate hotel a 3 star simply because it does not fit "almost luxurious". 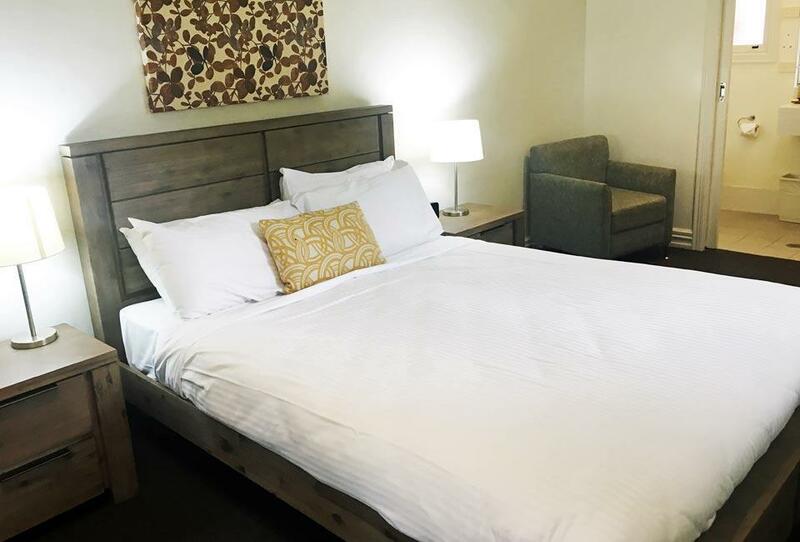 I have stayed in most hunter valley hotels and although there are more luxurious accomodations available for similar prices, the friendlyness and warmth of village staff is what will bring me back! Central location , large apartment and on site restaurant and grocery store. We usually stay here to break our trip from northern n.s.w. to sydney. 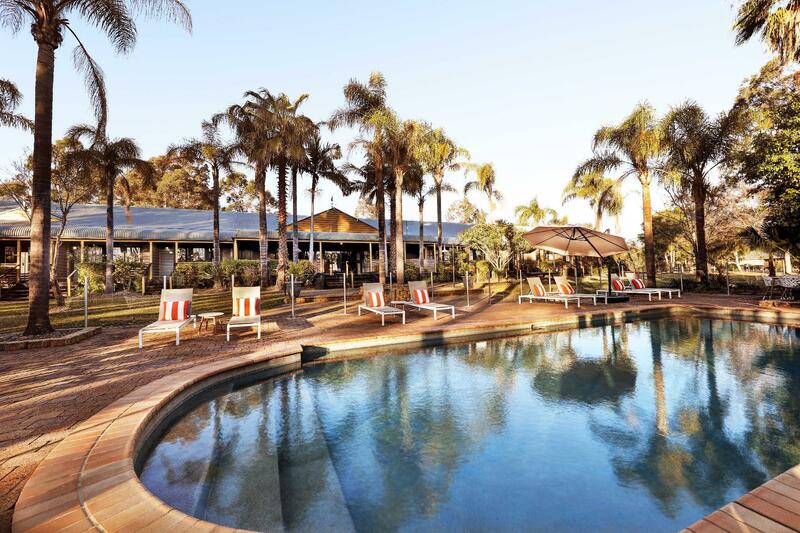 It is only two hours from sydney by freeway.It is a very quiet hotel and a great base to explore the wine region and all the wineries. The village has anything you might need so you don't have to leave to find supplies. It is a little run down compared to some other places but as it is so inexpensive it does not matter to us. Staff are always efficient. Reception does close early during the quiet months but here are arrangements made. It was all so lovely for us. The village shops were great. Blaxland Inn easy to walk to for dinner. Staff were so friendly. Pool was great. Accommodation is great. Room very clean, bed comfortable. Front Desk Receptionist was very nice & friendly. The exhaust fan in the bathroom was very noisy when light turned on. 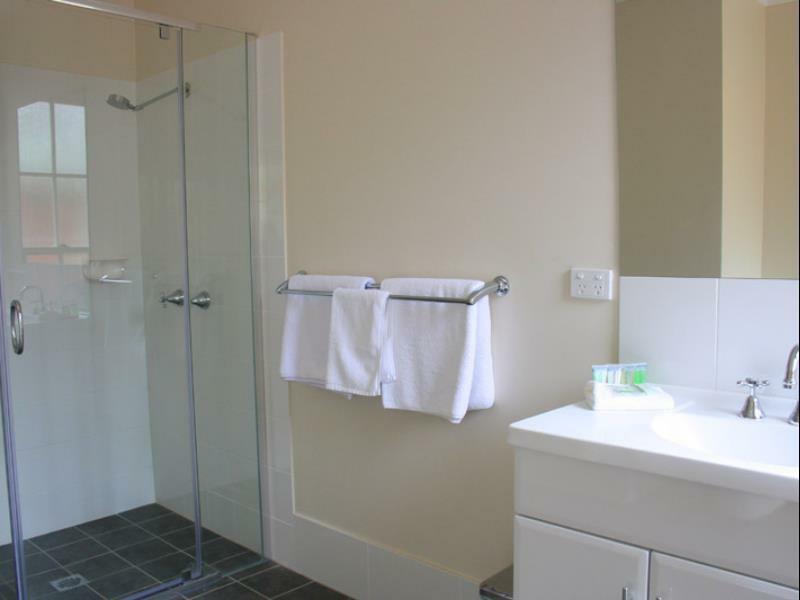 We recommend Pokolbin Village for accommodation. It was our first time visited Hunter Valley and we had a great time. A totally bad experience with Agoda as they have made a mistake in my room type despite the correct information sent in the confirmation email. It is very upset and frustrated that I have to face much inconvenience at the last minute due to Agoda mistake. First, I was being threatened to have my booking cancelled unless I pay the upfront of Aus 499 in cash in addition of Aus 128 which was already charged to my credit card and to submit a claim later with all the credit card administration payable by myself. Second, some options were offered and in the end my credit card was charged without my knowledge with the excess amount despite the email saying I don’t have to pay anything in excess as Agoda has taken care of everything. Overall, Agoda only threatened and passed on their mistake to the customer, add on to inconvenience and I have to go through the hassle of claiming back the excess which hopefully I can without any difficulties. Homestead room review: Heater not working properly and the whole house was so cold, kitchen not in top notch condition with lots of dead flies along the kitchen window edge. House is big with fireplace, comfortable bed and it will be nice if a curtain can be added on in the kitchen area for more privacy. We stayed here as it was walking distance to Circa 1876 and to The Goldfish. Very comfortable and easy to find. Reception hours are a little limited, but manageable. Check in time till 5pm, unsure about this. Have to search for another accomodation as I arrived at 9pm. Room was alright with basic needs. Have a few shops nearby but nothing much. Stayed for 2 nights. Room was clean, receptionist very friendly. Close to lots of wineries. My only complaint would be that on site restaurant was closed for dinner on the Saturday night when everything we checked indicated it should have been open. Regardless would still recommend to stay. The Loft was clean and very cute, great little set-up with kitchenette (microwave and electric frypan). I loved sitting in the sunny window seat enjoying my afternoon cuppa. The Loft is above the General Store at the front of the complex, so you do hear a little road noise (we live in a very quiet location so maybe more noticeable to me than most - didn't keep me awake). The Blaxland Inn is right next door and looked great (we were lured by their food prep), but unfortunately they were low staffed and couldn't fit us in. Very happy with our stay, we arrived later than we planned with only three hours to see vineyards, the lady at the front desk gave us places to go and see (the best places) ended up seeing more than we thought we could. Very happy with the location.. close to everything even the steak house is out front.. with limited restaurants in hunter it’s great to be able to walk to one! Everything was good, located centrally to all the winery we wanted to go. The only downside was that we had a blackout due to a storm and there nothing that can be on but apart from that, everything was good. 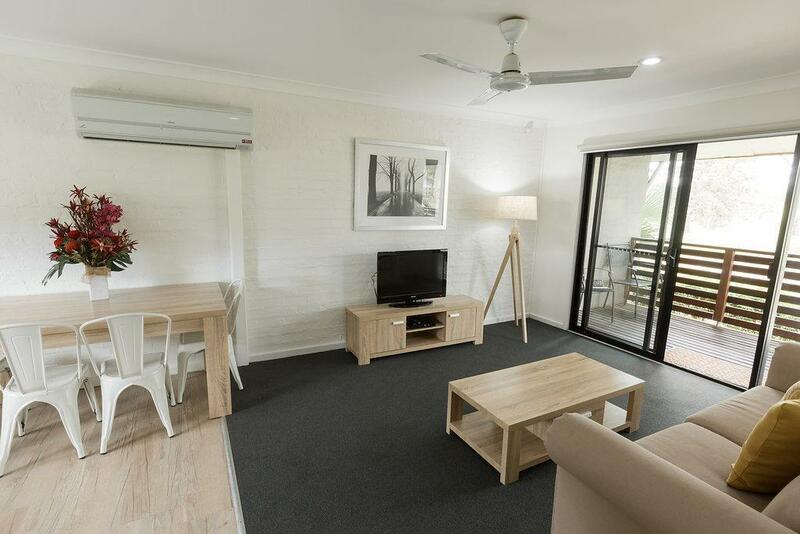 I have chosen Pokolbin Village for me and my family to stay at in The Hunter Valley Wine Country (only two hours from Sydney) during the first week of January 2017, that is a ‘four star’ rating and I can understand why they have an amazing rating. The place is nicely displayed with a range of specialty shops and restaurant for your convenience with lots of parking spaces available. There are easy-to-find signs especially when you’re trying to locate ‘Reception’ so you can check-in, get your keys, unload your gear and start your holiday as-soon-as-possible. Once we entered the reception area, we were greeted by a friendly staff straight away that made us feel welcomed. The receptionist asked where I was parked and then directed me with easy instructions how to get to the our ‘self-contained’ villa accommodation and we noticed that on the key-ring to our villa, there were adverts on it stating that you can receive discounts for participating on-site shops and some outlets when shown. I drove the short distance to our room without a problem and found nearby parking – oh… by-the-way, the specialty shops are not too far from the room we were staying at, just a short stroll. . When we entered our room, the air-conditioner was already on that gave us an instant relief from the heat we were experiencing – 39 degrees Celsius (102.2 Farenheit). The facilities were conveniently located near the rooms - swimming pool, BBQ facilities, tennis court and boules court and on top of that, free wifi. We made great use of the swimming pool and BBQ facilities with nearby table and seats so you can enjoy your meal outdoors with the natural, non-pollutant country air. 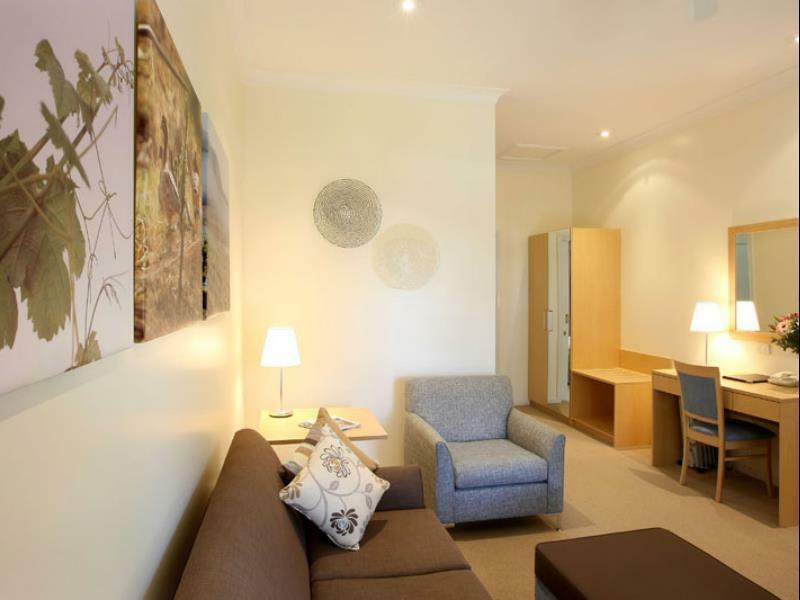 Pokolbin Village is only minutes away from all major attractions and event locations. It is the ideal place for couples, families or groups who are looking for a place with natural charms and beauty for a ‘time-out’ of your everyday hustle and bustle lifestyle. Overall a good hotel, except we found muddy footprints on the wooden porch outside our room, and traces of muddy footprints on parts of the carpet inside the living hall of our room, plus tissue or toilet paper not flushed in the toilet bowl. Might be a one-off affair, either being done by an extremely forgetful housekeeper, or the front door was not locked and Mr Guest With Muddy Feet went in to look for the washroom. Good value for money and excellent location. As soon as we walked into the room there was a bad odour. Not too impressed that the shower head was sprouting water into the ceiling - however the GA did change it immediately but we were left to mop up the floors because it was flooded. A room change would have been appreciated. The Fridge was not cold at all, it was leaking water which meant all the cheese we bought was ruined. For such a nice place, it could have been better. 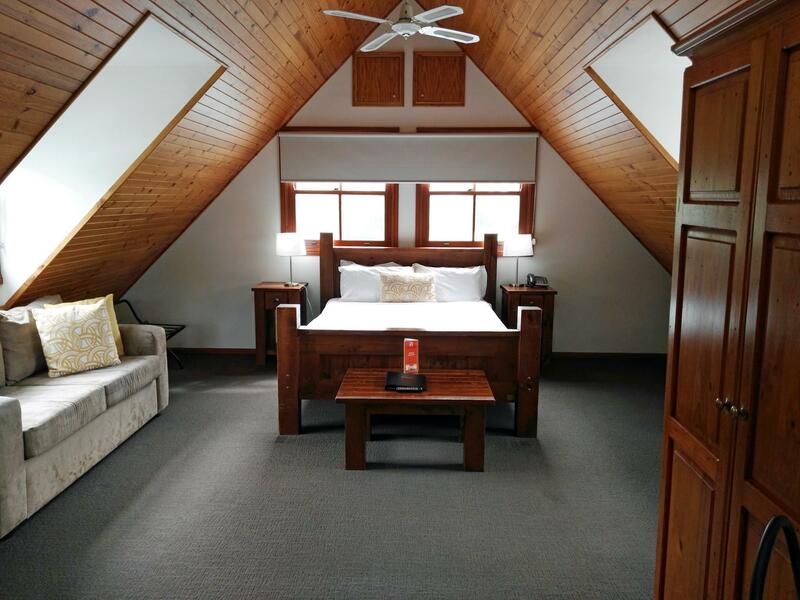 My husband and I stayed in The Loft for one night and were pleasantly surprised at its location. It was apart from the main accommodation rooms and was set independently above the hotel's General Store. It was a very hot day but the room was beautifully cool with air conditioning and ceiling fan. The décor was very homely and the room was very comfortable with all the room amenities we needed. It was quiet, the only noise coming from the General Store early the next morning. Perfect location. We were central to all our favourite vineyards and we walked to the restaurant next door for dinner. We had breakfast at Pokolbin Village restaurant which was very enjoyable. It was a lovely stay and I would definitely recommend The Loft for its secret hideaway location. Staff are friendly- they do accommodate for late check in. Environment are superb- surrounded with nature, just a little hard to find the location when it turns dark.Just at the side of Tempus 2. Better to put more lights outside of the place when it get dark so that it is more easier to look for it. Good to upgrade the room with proper beds accommodating 5 persons rather than 1 needed to sleep on the sofa. Our stay @ Pokolbin Village was fantastic even though it was just an overnight stay. The staff at the reception was very friendly, readily providing us with suggestions on dining venues. There are shops selling general groceries, cheese and chocolate etc. 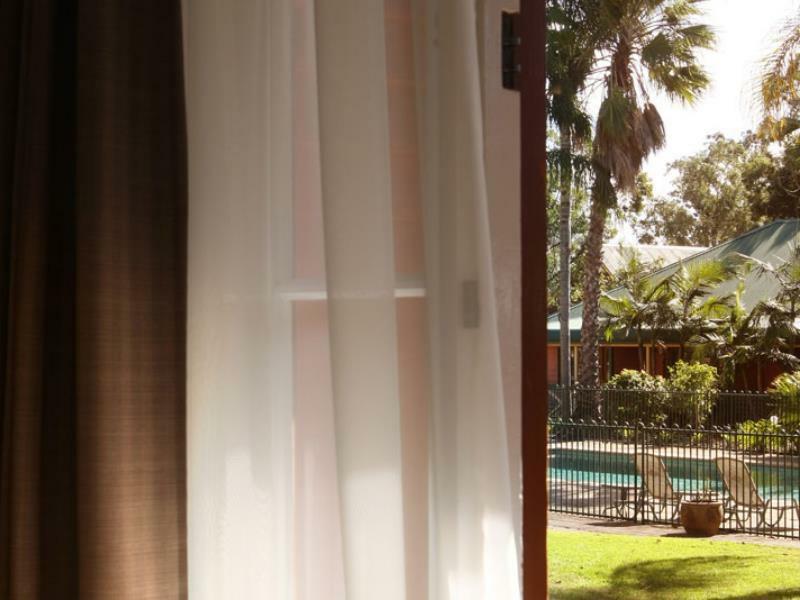 Location is within 5 mins drive to the Hunter Valley Gardens. We will choose to stay @ Pokolbin Village in our next visit!